E3 2014 is upon us!! The Electronic Entertainment Expo is a time for all of us to rejoice, as we get the chance every year for our eyes to light up and catch a glimpse of the future. I have been following E3 for years and a ton of things have evolved, some things for the better, some for the worse. Regardless, year after year, anticipation and excitement consume us, as we prepare ourselves and celebrate any and all things within the world of video games. Here is a list of games and announcements I am really hoping to see this year. I'm starting this list with the game I have been wanting for what seams like forever. It's been many E3's since we were first teased with the sight of the massive cat-like dragon eagle creature bonding with a young boy, traversing a world full of mystery. 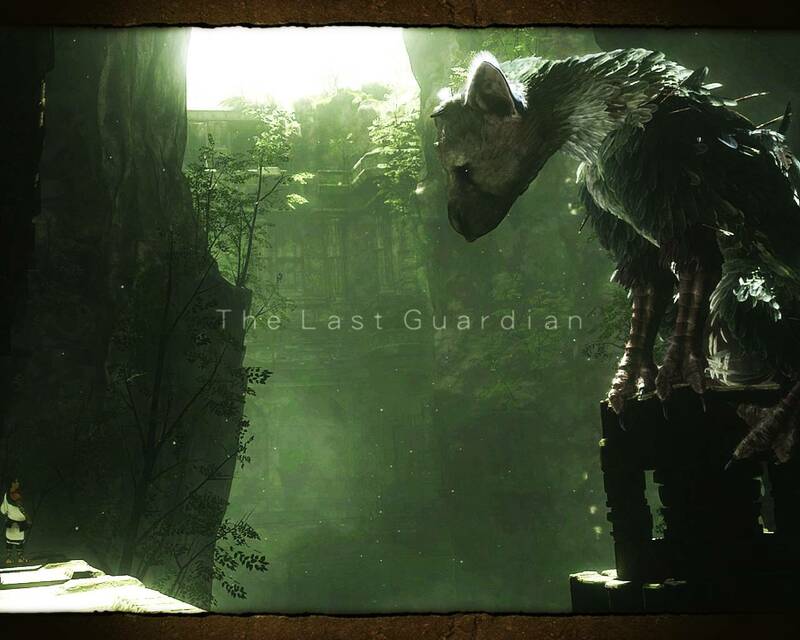 This E3 is where I draw the line in the sand for The Last Guardian. Fumito Ueda captured my heart with ICO and Shadow of the Colossus because of how well they pull the player into those fantastically created worlds and the superb art style. SOTC is in my personal top 5 favorite games of all time. I cannot express it enough, if you are a gamer and have not yet played Shadow of the Colossus, please proceed to do so now! I so dearly want to see this game released more than anything. Is this finally going to happen Sony?? If there is no mention of it this year I fear all hope is lost. 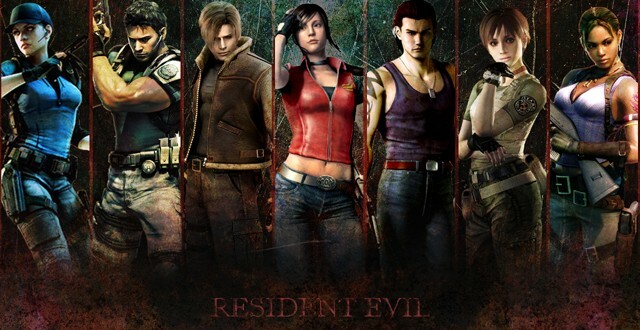 I grew up with the Resident Evil franchise. I played Resident Evil 1,2,3 over and over again. I thoroughly enjoyed Code Veronica as well, and I was blown away by how well the original RE Remake was done on the Gamecube. The earlier games were so well done in terms of capturing and blending a tense and moody atmosphere which kept the player engaged at all times. I will never forget the chill that went down my spine when those damn dogs suddenly jumped through the windows of the Spencer Mansion as I played the original RE on PS1. I have played and beaten pretty much every single RE game that exists except RE6...that shows you that I have started to lose faith in the RE franchise. I cannot even bring myself to care much about it anymore. I would rather play any old RE game than think about a new one that will probably just leave a horrible taste in my mouth. However, if Capcom would just bring the game back to it's roots, back to true survival horror, then maybe my faith could be restored back in this classic series. Capcom please stop over-thinking it and announce a new, quality, true-to-its roots RE game. At the very least, if I cannot get an announcement for Jak and Daxter, can Naughty Dog please do something to negate all the bad press that has been circulating for weeks now? After Crash Bandicoot and before Nathan Drake, Naughty Dog created the dynamic duo of Jak and Daxter. The franchise which was well known on the PS2, garnered quite a bit of success while living in the shadow of Crash. I was fully enthralled in this franchise and the blossoming relationship that Jak and Dax had over the course of 3 fantastic games on PS2. Obviously early in the PS3 life cycle, Naughty Dog became quite busy with their new-found success of the hit franchise Uncharted, however, I was still massively disappointed and surprised that Jak and Dax got no love what so ever on PS3. Unfortunately, the odds grow thinner for their return as time has gone on. Naughty Dog is dropping important team members left and right and have a new Uncharted game already in the plans for PS4 as well as presumably a sequel to their other massive new franchise The Last Of Us possibly in the works. Will we ever see the likes of these two lovable characters again? I really really hope so. To this day, every time I hear "Kickstart My Heart" by Motley Crew, it reminds me of the fun time I had racing around for hours at break-neck speeds on Gran Turismo 3. I mindlessly murmured the words under my breath as it replayed for the millionth time during endurance races. Polyphony Digital has done such an incredible job with this series since it's inception. They have worked relentlessly for years to bring driving perfection to video game enthusiasts of all walks of life. Yes, GT is an acquired taste, so-to-speak, this is not your fathers arcade racing game, this is a whole other monster. That is part of the reason why this fan base is loyal, they know what to expect and have grown to love it more and more over the years. I don't care if it is an upgraded port of GT6 or a brand new game in GT7, I want a new Gran Turismo game announced for PS4. Sony, I will gladly play Driveclub this fall, but shift into overdrive and give us a true next-gen GT game. Hey listen! Even though this is all but guaranteed to be announced this E3, I have to put this on here out of the pure anticipation of it's reveal. Nintendo is obviously not doing as well as they initially thought when it comes to Wii U console or software sales. Their backs are against the wall and they know what is at stake and I believe they will come out absolutely swinging (hopefully without a motion controller this time) with a fantastic showing of the next massively anticipated Wii U Zelda game. Ever since the world laid their eyes on this spectacular "tech demo" a couple years ago, fans have been drooling with the prospect of a possible reveal of the next entry in the series. In addition to the new game being showcased, I want to see Nintendo reveal a special edition Zelda Wii U console bundle. This would increase their hardware sales drastically which is obviously in dire need of a boost. And this time it can't be just a black Wii U with a fancy Zelda themed controller... the console needs to also have some triforce inscribing and actually be "special". 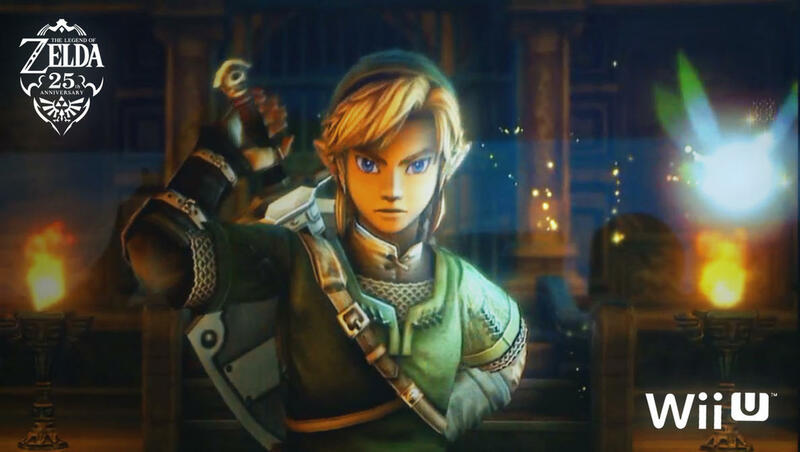 If A Link Between Worlds is any indicator as to how serious Nintendo is into digging deep to find a link to past Zelda games' success, I think we will be in for an incredible new Zelda game that surpasses the last several.